Your Local Choice for Electronics. 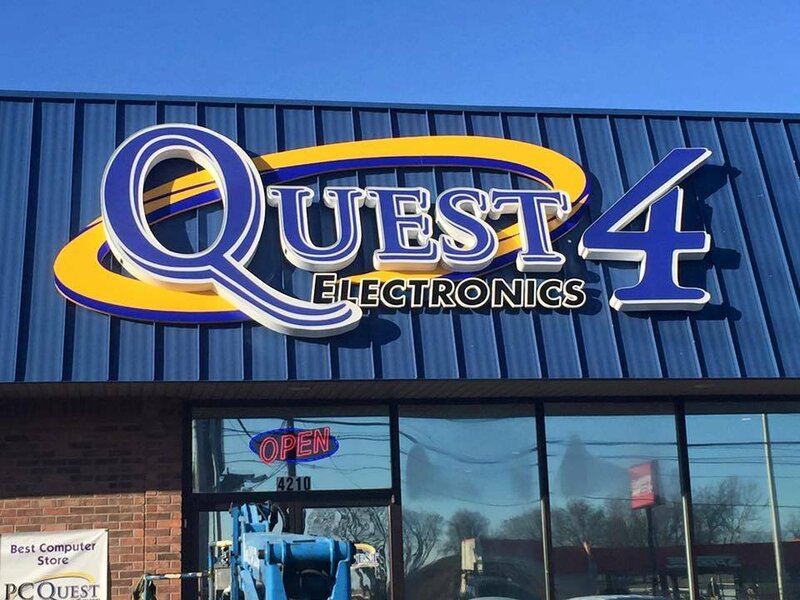 Quest4 Electronics, formerly Risley’s Electronics, is a veteran owned and operated business specializing in televisions, custom home theaters, smart home automation, surveillance systems, outdoor entertainment, whole-house audio, networking , wiring and more! We pride ourselves on our strong attention to detail and dedication to our client’s happiness. All of our products and installations are backed by the area’s best service and support team and we service what we sell! With decades of experience, we’ve been using our knowledge of and passion for the industry to modernize homes and businesses all over the tri-state area. Come check out our state-of-the-art 9,000 sq. ft. service center and showroom! 20’ Octagon shaped media room with lighting around the perimeter, custom-designed gas linear fireplace (built by Bassemier’s Fireplace, Patio & Spas… our next door neighbor) with a 65” OLED TV and an exhilarating Bose surround sound system. 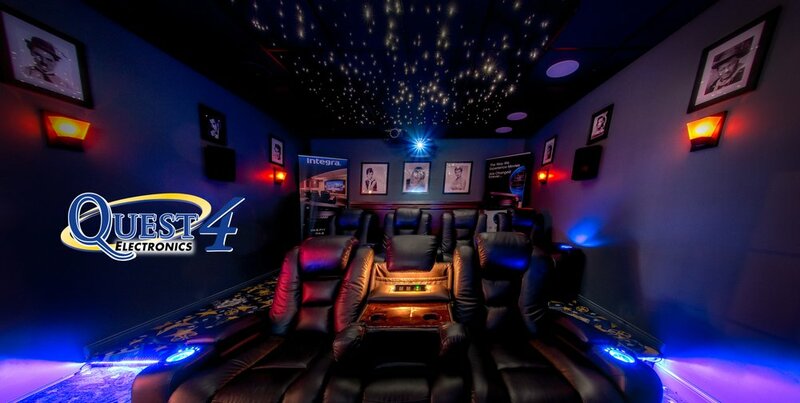 Seating for 10, a 4K projector, a SONY 75” 4K TV, and Dolby Atmos Surround Sound System. This room also boasts a fantastic Starfield ceiling with constellations and shooting stars. 64 of the best speakers on the market gives this room POP & BOOM. We have an array of SONY and LG mid-to high-end televisions on display, as well as audio products from Yamaha, Klipsch, Paradigm, Bose, Nuvo, Sonos , etc. We are an authorized Control4 and Intuity system integrators for smart home system and this controls all TV’s, sound systems, lighting, projectors, surveillance systems, and more! Come See Our Showroom For Yourself! Contact our Quest4 Experts for a FREE Consultation.